Effective October 31, 2014, enforcement of the standard unique health plan identifier (HPID) rules has been delayed until further notice for all covered entities under the federal Health Insurance Portability and Accountability Act (HIPAA). Prior to the delay, certain " controlling health plans " (except for small health plans) were required to obtain HPIDs by November 5, 2014 for use in HIPAA standard transactions. Note: Fully-insured group health plans are not exempt from the HPID requirements; however, they do not need to obtain a separate HPID, as health insurance issuers (carriers) are required to obtain HPIDs. The enforcement delay will allow federal agencies to review recommendations by the National Committee on Vital and Health Statistics that HPIDs not be used in HIPAA transactions, and will give them time to consider any appropriate next steps. More information on the delay can be found here. 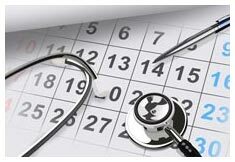 Visit your online HR library for the latest HIPAA Administrative Deadlines for health plans.